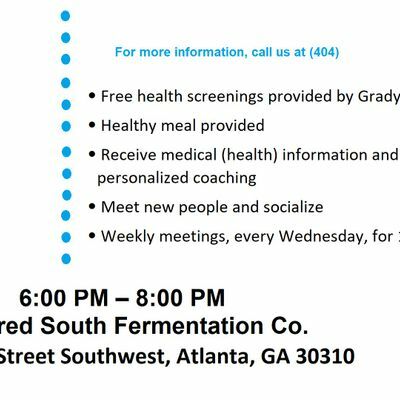 Walk the Line is a 10-week, comprehensive healthy lifestyle class for adults who live in neighborhoods served by Grady Health System. Our goal is to provide you with actionable steps to help you on your journey to wellness. We want you to cross the finish line after 10 weeks with a new perspective on what it means to live well! Our coaches will provide you with tips that can make a big difference in your health and wellness. 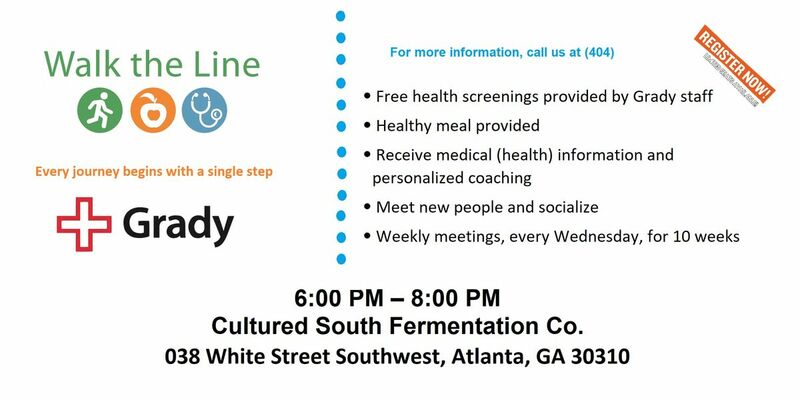 Each week we will meet to walk the line, enjoy a healthy meal, and have some real talk about making your health a priority. Exercise – Each week we will walk on trails and in parks throughout Atlanta. Health education – Grady experts will teach about different aspects of health and wellness including nutrition, physical activity, diabetes, heart disease, and more! Healthy meals – We will share a healthy meal together every week. Health screenings – You will be offered blood pressure, blood sugar, weight and BMI screenings at the beginning and end of WTL. Health coaching – Our volunteer health coaches will be checking in with you along the way to support you, encourage you, and celebrate your successes! Healthy giveaways – You will receive a variety of items to encourage healthy living. Those who attend at least 8 sessions will receive a special gift on week 10! Startups, Tech and Government: How Should We Best Get Along?